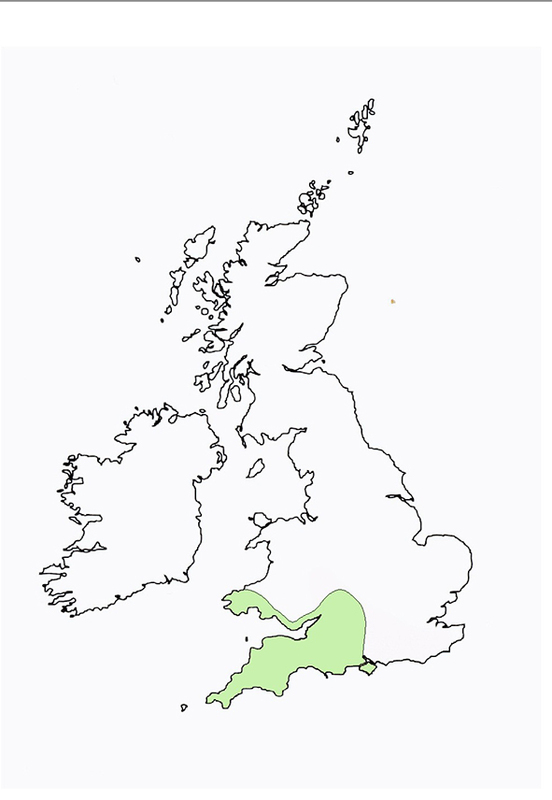 Britain’s population of some 10,000 greater horseshoe bats (Rhinolophus ferrumequinum) was until recently restricted to south and west Wales and south-west England. As its population has started to recover, individuals and small colonies have been recorded as far away as North Wales and Sussex. Unlike the lesser horseshoe bat, it is absent from Ireland. training workshops based around its reserves to inform ecological consultants and SNCO staff about appropriate mitigation measures for the species. As part of the Devon Greater Horseshoe Bat Project, a camera has been installed in one of our large greater horseshoe roosts. You can see some fantastic live footage on the website of the bats in the roost. The best time to watch it is just before sunset when the bats are flying around inside the roost in preparation to emerge for the night. Visit the Devon Greater Horseshoe Bat Project website to view the live footage. Number of young:One born late June to the end of July. Diet:Moths and larger beetles such as dung beetles and cockchafers. Habitat:Summer roosts in old, stone-walled buildings with slate roofs; winter roosts in caves, disused mines, ice houses or unheated cellars. Forages over cattle-grazed pasture and ancient semi-natural woodland in spring and hay meadows and silage fields in summer.